The characters are well rounded and well developed. I love all the genteel Southern women in this book, or at least that is the way they try to present themselves. In reality, they are a bunch of sassy, feisty and curious women. They love to gossip and they feel the need to be in everyone else’s business. And when there is a murder to solve, all bets are off. I really enjoyed the relationship and interactions between Lily Gayle and Dixie. You can tell they are friends from way back and they would do anything for each other. They may call each other out if necessary but when push comes to shove, they have each other’s backs. I also enjoyed the relationship between Lily Gayle and her cousin Ben, the County Sheriff. Their bickering and banter provided a lot of humor to the story. The writing style flows smoothly and the book is an easy read. The author has a way with writing and she pulls you in at the beginning of the book and does not let you go until the very end. She is very talented in her descriptive writing and through much of the book I felt like I was right there, watching all of the action taking place. I enjoyed the small town southern setting and Mercy Mississippi is definitely a place I would like to visit. The mystery was well plotted and had enough suspects to consider and clues to sift through that it was not easy to solve. I would recommend this book to anyone who enjoys a well crafted cozy mystery. 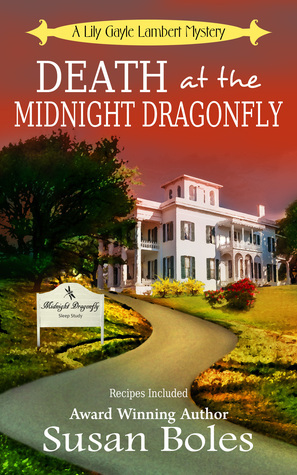 With a great cast of characters, a cozy southern setting and a well plotted mystery, what is not to like? The sounds like fascinating book. I didn’t really e the title, but what read in the really did pull me in to want to read the book. Way to go Susan. Yeah, it was a great book. I am so glad you love these characters and the story! I really like everything about the book and series. You have a good series.